Organised by trabajando.com and Universia, and with sponsorship from Santander Bank, the Feria Mercado Laboral Virtual is a fully online event that will feature a variety of companies, including Talent Search People, which are looking for the best candidates to fill their job offers. 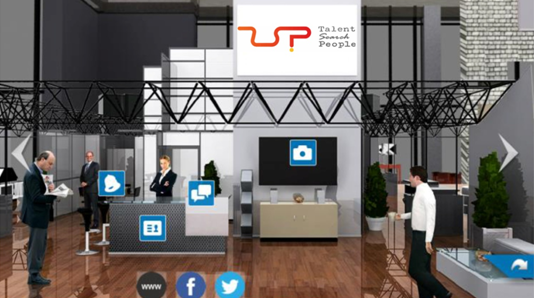 Each virtual stand will feature a resource centre, such as videos about employability, information about the companies and tools to send and update your CV, or do video interviews. The candidates can access the platform on whatever day and time they wish during the event. To take part in the event, all you need to do is join the Comunidad Laboral trabajando.com – Universia, and have an up-to-date version on your CV. When you visit feriamercadolaboral.trabajando.es, you will be able to have access free of charge. The fair will take place from 19th to the 28th of May, 2014. Enter and visit our stand!